Mt. 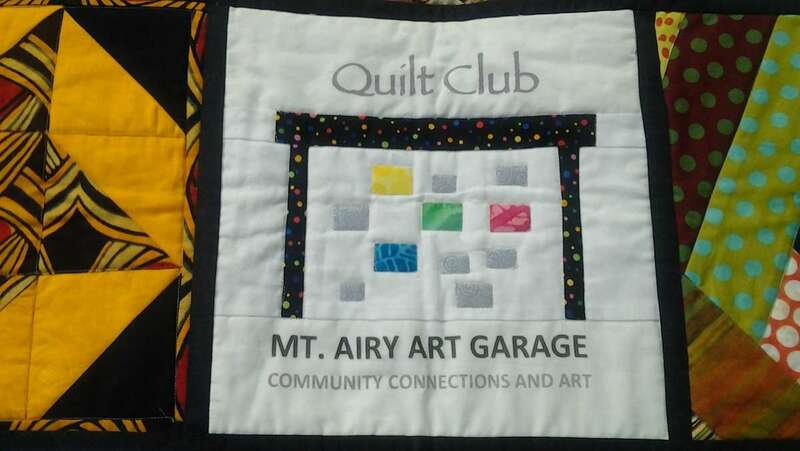 Airy Art Garage co-founder Linda Slodki said that while turnout has been great for the art center’s quilting classes and “Quiltapalooza” events, getting members of MAAG’s Quilt Club, most of whom are women, to actually submit their quilts for a new juried exhibition took a lot of encouragement. 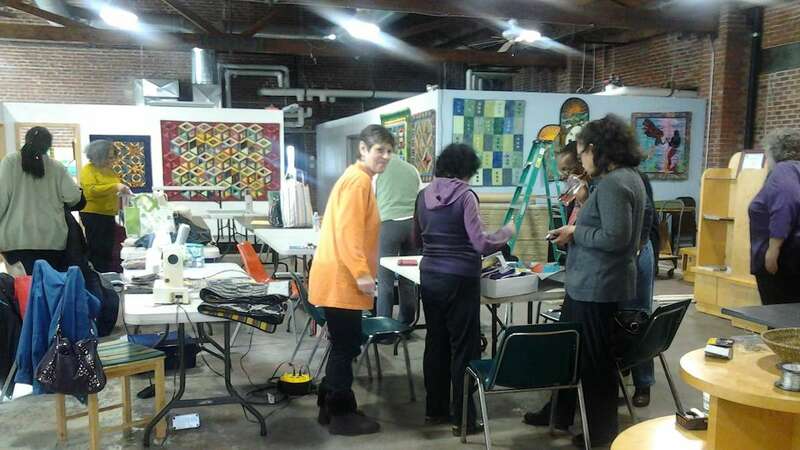 “Why is it that women have trouble valuing their work?” Slodki wondered when NewsWorks stopped by Saturday’s Quilt Club gathering for an advance look at “Art of the Quilt: Unfolding Our Stories,” an exhibition of 40 quilts from textile artists across the city, opening on Friday. The quilters’ reluctance to submit their work for an art gallery exhibition struck Slodki as a typical problem in the predominantly female world of quilting, textile, and fiber arts. 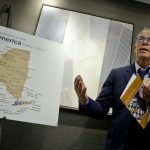 After all, as she and exhibition juror and Quilt Club teacher Sarah Bond both noted, quilts did not gain entry to American museums as an art form until the 1960s and 70s. The art world was slow to recognize quilts and similar textile arts as the peers of paintings and sculptures, and that may be because arts wrought in fabric are traditionally a female domain. 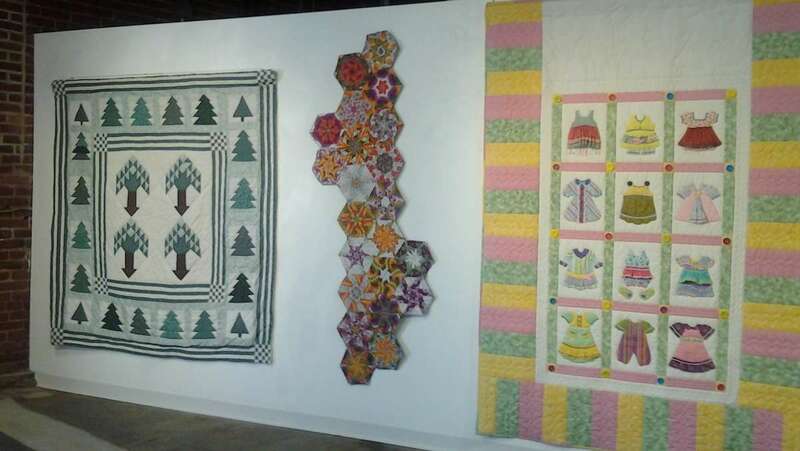 Many of the quilts now on display on MAAG, selected for the exhibition by Bond and her co-juror (fiber artist Melissa Maddoni Haims), were in use at family homes in the neighborhoods before going on the wall for the show — and with quilts, that’s how it ought to be. “If you can get close, you can see someone’s eaten a chocolate cupcake in the vicinity,” Bond explains of a faint stain on one quilt nonetheless selected for its arresting design and execution. Participating artist Maryellen Gryzewicz, a Roxborough resident who goes by “Gryz,” said her 101×96-inch “Purple Haze,” quilt is on break from its usual duty on her bed at home. 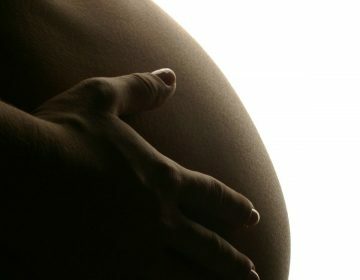 “My husband misses it,” she said, though she noted that his encouragement was what convinced her to enter it in the show. It’s the first quilt Gryz ever made. 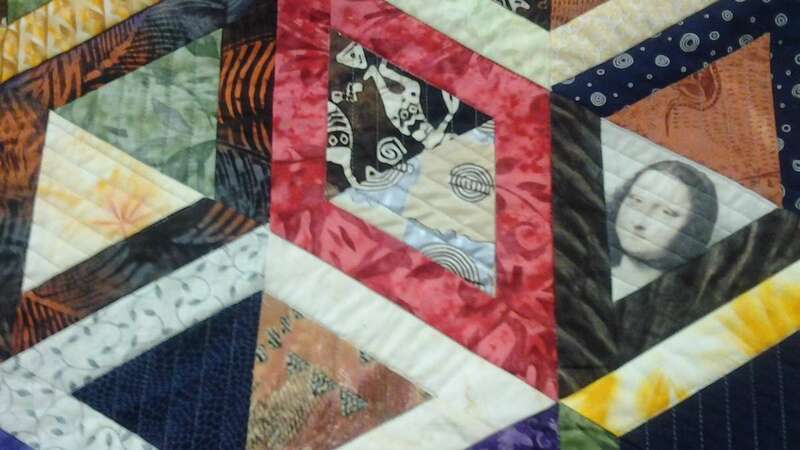 She started it in 2009 when she took her first quilting class with Bond. She took the class two more times before the quilt was finished two years later. It’s a giant square of interlocking ladders, zig-zags and bursts of blue and purple. By day, Gryz is a nurse at the HIV clinic of the Children’s Hospital of Pennsylvania. “I love blues,” she said of her inspiration for “Purple Haze,” and she finds quilting the perfect therapy for a rough day at work. 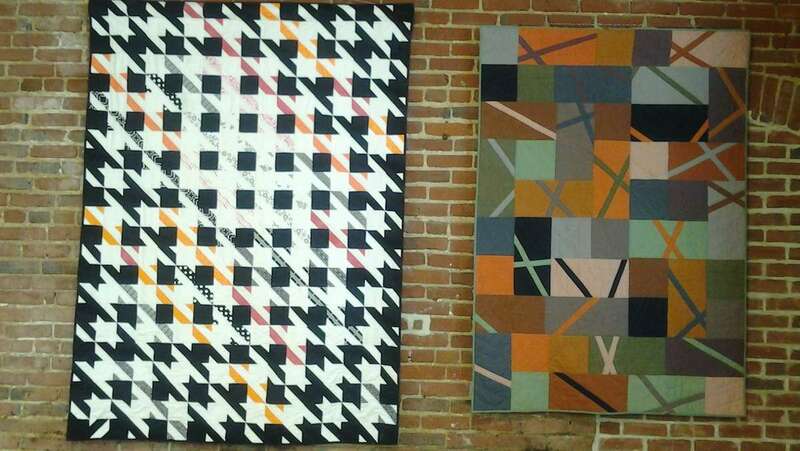 Despite a common “tension” between work perceived as “craft” versus fine art, Bond said the show’s mission sets it apart from many other quilt shows, which tend to focus on one genre of quilting, like traditional styles versus fine art or modern ones. 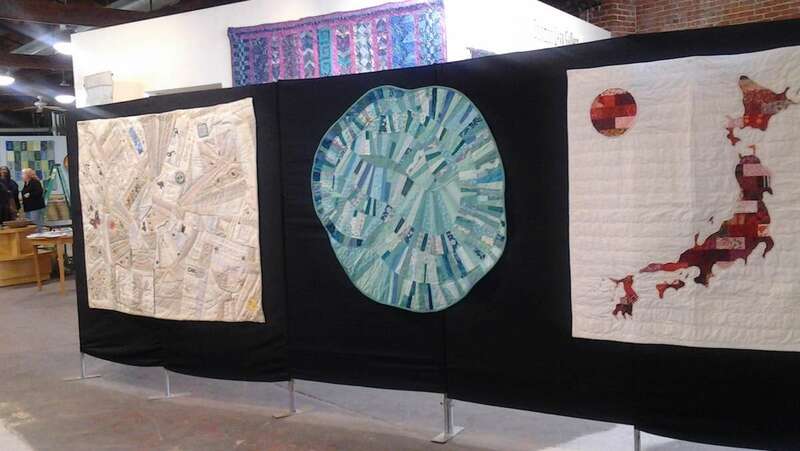 This show includes a quilt made of men’s ties, round-robin quilts (with different sections made by different artists), and quilts of intricate piece-work as well as fusible applique, embroidery and 3-D elements like beads, yarn and raw-edge reverse applique. That means hanging quilts depicting painterly landscapes alongside ones with narratives like Adam and Eve in the Garden of Eden, riotous “crazy quilts” and eye-tugging nine-patch patterns that march up, down and sideways all at once. There’s even a tidy one-foot square offering that features a whimsical black cat silhouette on purple and yellow. 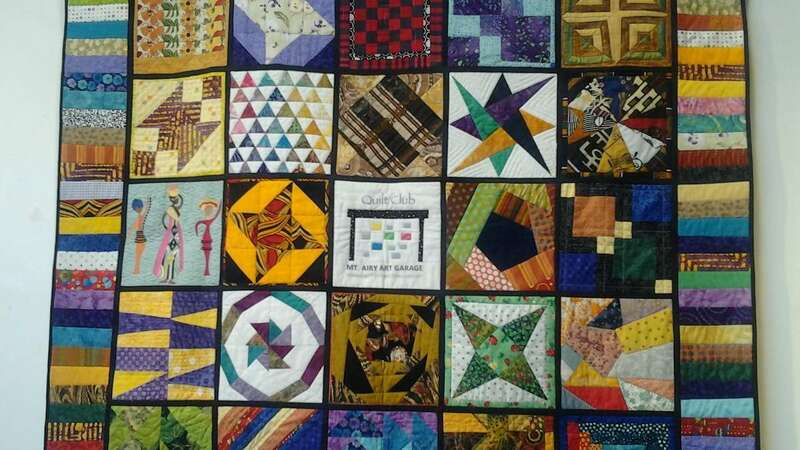 Another featured quilt is the work of second-grade students from Germantown’s Pennsylvania School for the Deaf. One of the most poignant and unusual isn’t made of fabric at all, but is stitched from paper. 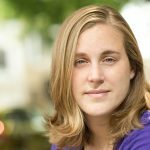 Haims used fifty years of pages of an address book belonging to her husband’s deceased grandfather, a Holocaust survivor who crossed out the names of his friends and family as they died over the latter half of the 20th century. 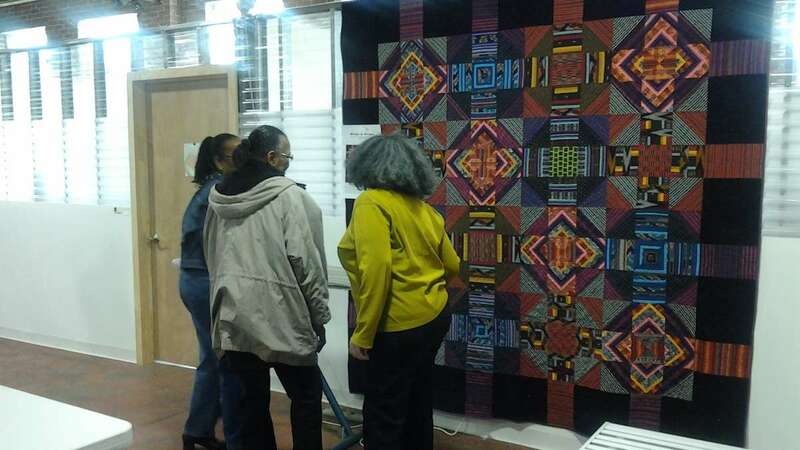 The opening reception for MAAG’s “Art of the Quilt: Unfolding Our Stories” is Friday, Feb. 28 at 6 p.m. 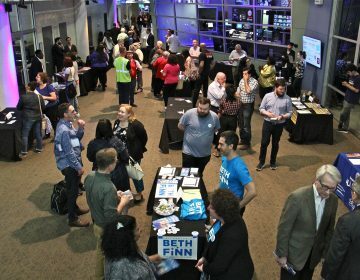 The show runs through April 25 and gallery hours are Thursday to Saturday from noon to 6 p.m. and Sundays from noon to 5 p.m.
MAAG’s 2nd Annual Celebration of Women and the Arts ($10) will take place Saturday, March 8 at 6 p.m., and will include music, performers and a poetry slam. 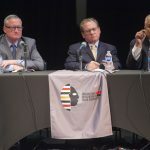 The “Ain’t I An Artist?” panel discussion ($10) will be Sunday, March 9 at 3 p.m.